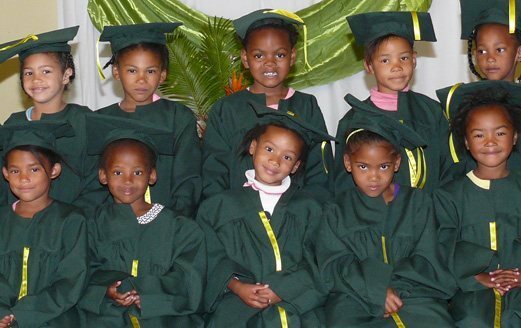 As a NGO we run a care centre for toddlers which operates in the picturesque town of Strand in the Western Cape, South Africa. We are active in Casablanca and Sercor Park, two previously disadvantaged neighbourhoods plagued by unemployment, poverty, alcohol and drug abuse, sexual and physical abuse, teenage pregnancies and school drop-outs. Under these circumstances moral, social and family values deteriorate and regrettably the most vulnerable – The Children – are the ones that suffer most. Through our special care the children are fed, tutored and given the skills they need to start school. We give our children hope and a sense of purpose. We also sow richly into the community itself by getting them involved in our activities. We are completely dependent on donations. Please browse through our site and support us by helping and changing a child's future. This is who we are and what we do. It gives our history, mission and vision. Here you can also meet our management and staff. Here we show you how we operate through our various educational projects. We have a day care, aftercare and feeding scheme in place for disadvantaged children. Here we will keep you up to date with what's happening with our children.